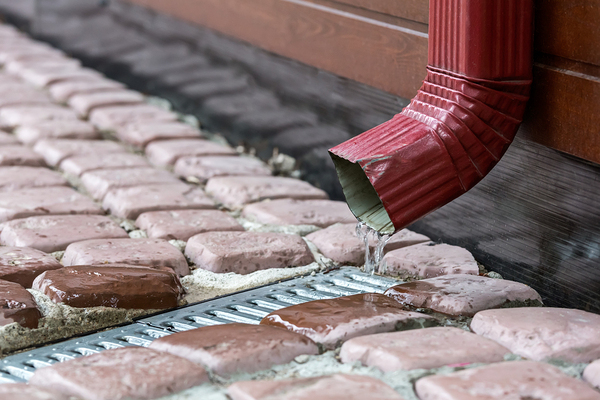 What Kind of Gutter Drain Is Best for Your Yard? Where should your water go? Do you need a new drain for your home? The gutters that you have around your home provide the service of moving water away from your foundation. However, if your water doesn’t end up in a good place, then all of that work has been in vain. Where should you put your water once it flows off the roof? To get the water off the roof, you will need a downspout. Downspouts are either round or square, and they range in width from three to six inches. To fit most of your gutters, you will need a 2×3 or a 3×4 downspout. You need one downspout for approximately every 30 to 40 feet of gutter. Adding more downspouts allows you to increase the capacity of your gutter system. Downspouts come in many different materials such as aluminum, copper, zinc and stainless steel. Runoff drains connect to your downspout. Their job is simple: to carry water from the downspout to an outlet away from your home. There are a number of different kinds of drains. You can send runoff water into a hole in the ground at the bottom of the drain. This is a straightforward plan that generally sends water into a storm sewer system. However, the downside is that not all neighborhoods and homes have a drainage system like this. Also, if you have a dry yard, you might actually want to keep some of your moisture instead of sending it away. If you don’t want to send your water above the ground and onto the lawn, you can dig a large hole and send it into the yard to a dry well: “a holding tank for a large water runoff,” according to The Family Handyman. Make sure that your dry well is far away from your house, or you could damage your foundation. Your drain can also extend out into the lawn. 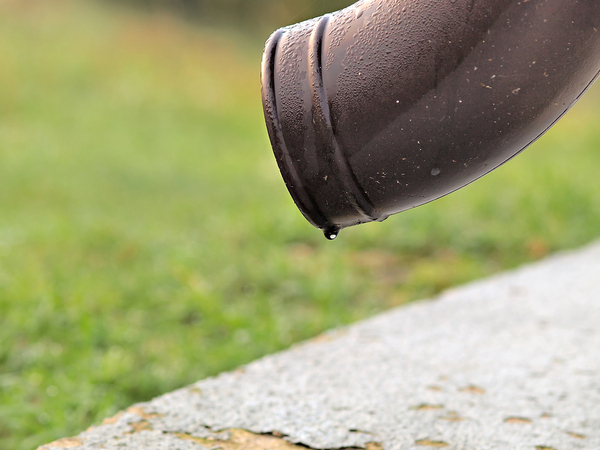 Today’s Homeowner suggests that “adding an extension on the bottom of gutter downspouts is another way to direct water away from the foundation.” By sending water out onto the lawn, you’re getting rid of the water and keeping it around in your local garden for a time to come. You’ll need to ensure that you don’t have an improper slope, or your drain can get clogged. This method does have its drawbacks. If you send too much water into the lawn, the lawn can become completely waterlogged. To manage this, you can create a rain garden that allows plants to use the water rather than sending water where it isn’t wanted. One interesting style of drain is the pop-up gutter drain. If you want to move your water far out into the garden, this is an option for you. The pop-up gutter drain connects to your downspout and sends water underground through the drain, which empties out far into the garden. To add this drain to your home, you will need to make sure that you put the underground drain on a slope or else the water will not easily move down the drain and out onto the lawn or another substrate. Are you trying to make sure that your garden and home remain free of leaks, puddles, and other problems associated with water damage? If so, connect with Harry Helmet. We’ll give you an estimate on our gutter guard system, Gutter Helmet, and on queries about replacing your roof or gutter system. Schedule a free estimate today.